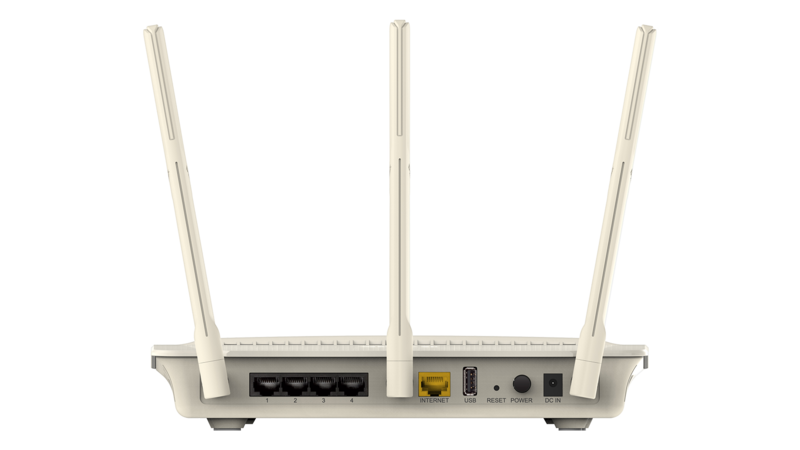 The DIR-880L Wireless AC1900 Dual-Band Gigabit Cloud Router offers the ultimate wireless connectivity with combined wireless speeds of up to 1.9 Gbps*. Advanced AC SmartBeam provides a dramatic increase in wireless coverage, while advanced Quality of Service (QoS) efficiently and automatically distributes your Internet bandwidth. The touch screen enhanced web-based setup wizard and configuration allows you to easily setup and get connected. 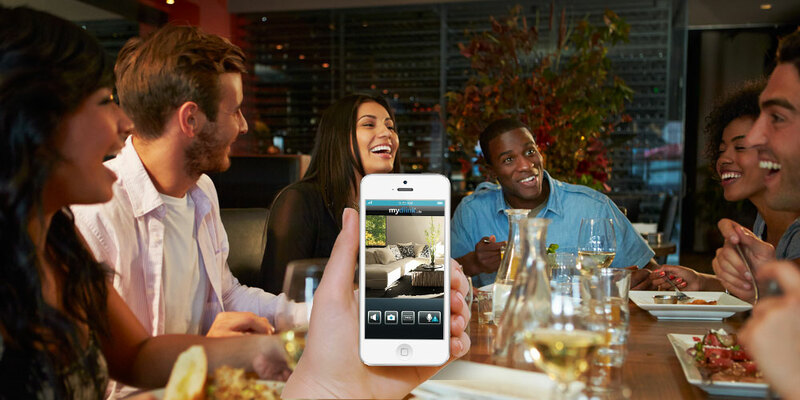 It's mydlink-enabled which allows you to control and manage your network wherever you are over the Internet, as well as stream and share media files through the free mydlink SharePort app. The DIR-880L is high performance, easy-to-use and IPv6-ready for a reliable network today and tomorrow. The D-Link DIR-880L Wireless AC1900 Dual-Band Gigabit Cloud Router creates a blazing fast home network that connects all of your devices to your broadband Internet connection. Advanced AC SmartBeamâ„¢ technology brings you the future of high-bandwidth wireless connectivity, vastly increasing the speed and coverage of your network. This allows you to stream HD video, make Internet calls, and surf the Internet from every corner of your home without interruption. 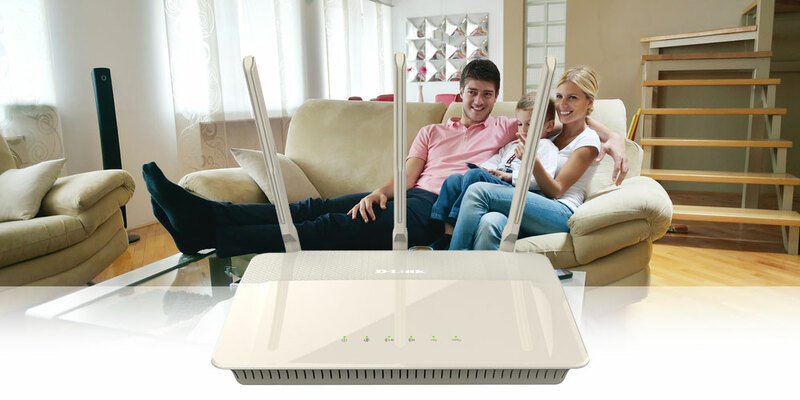 The high-gain external antennas send the signal into the furthest corners of your home, giving you a strong connection wherever you are. Gigabit Ethernet ports provide high-speed wired connections for up to four PCs or other devices. The Wireless AC1900 Dual-Band Gigabit Cloud Router is mydlink Cloud enabled, so you can effortlessly access and view your network no matter where you are. 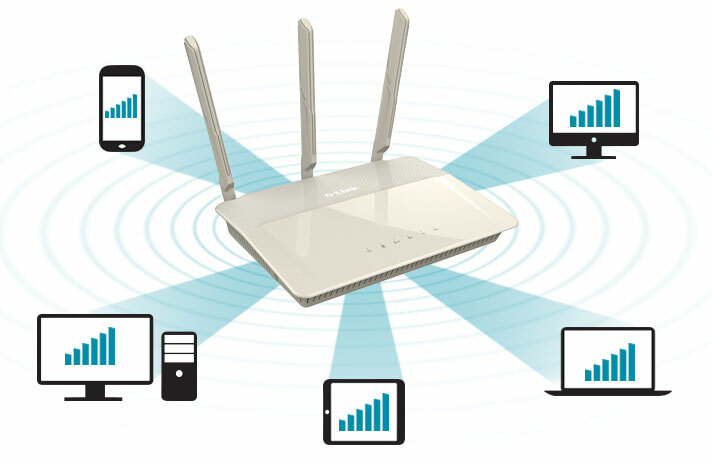 See who is connected to your router, change settings, or block someone from using your network connection, all from an Internet connected PC, tablet, or smartphone. Parents can monitor what sites their children are visiting, to stay informed and in control on the go. 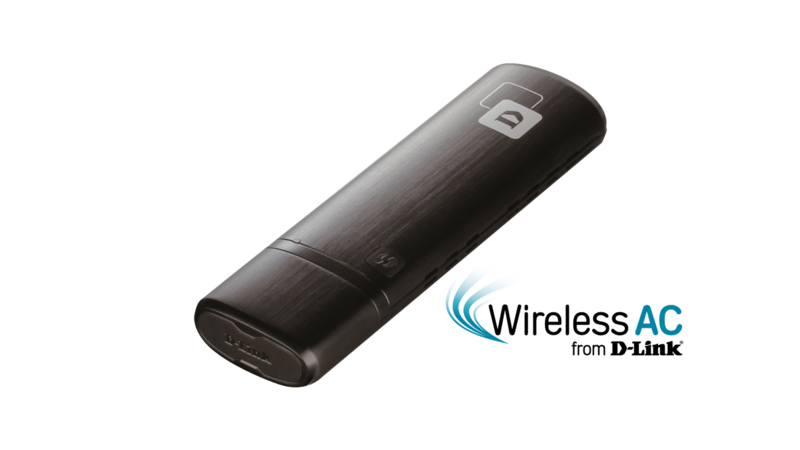 The mydlink SharePort app allows you to connect a USB storage device to the DIR-880L and instantly share documents, movies, pictures, and music with mobile devices. Put your music library on a USB drive and share it with everyone else in your home, or show photos on the living room TV while a family member watches a movie on their tablet. Stream media files to multiple devices without interruption, or save them to your device for offline playback. The intuitive interface lets anyone immediately connect to a variety of entertainment options stored securely on your own storage device. 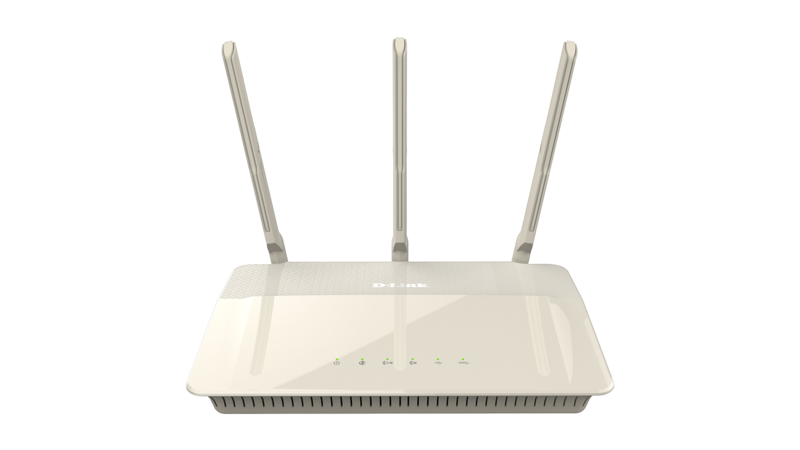 Using the latest Wireless AC technology, which can provide transfer rates of up to 1.9 Gbps1 (1300 + 600 Mbps), the DIR-880L operates on both the 2.4 GHz and 5 GHz wireless bands at the same time using concurrent dual-band technology and three external antennas. 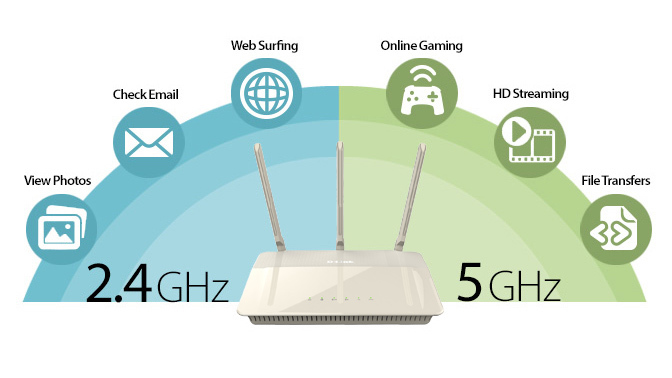 This allows you to browse the web, chat and e-mail using the 2.4 GHz band, while simultaneously streaming digital media, playing online games, or making Internet phone calls on the 5 GHz band. 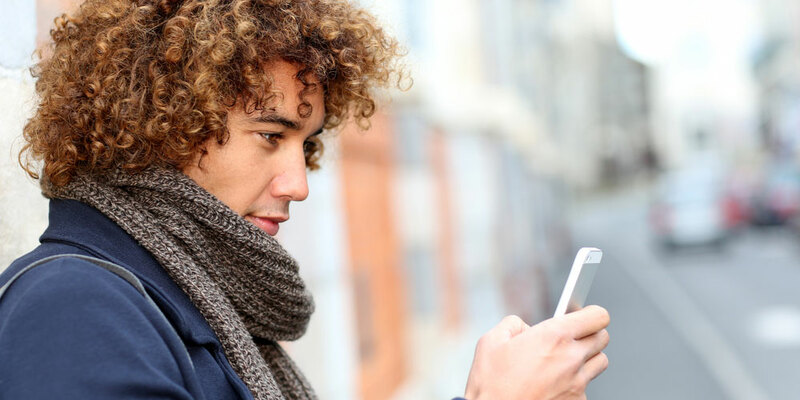 Advanced Quality of Service (QoS) prioritises the most important data, such as movie streaming and online gaming; its band steering feature efficiently balances the data load between the two bands, while airtime fairness ensures that wireless clients are provided with the most appropriate bandwidth for their needs. Get the DIR-880L up and running in no time right from your sofa with the touch screen enhanced web-based setup wizard. Simply open the web browser on your smartphone or tablet to setup and follow a few easy steps to get your home network connected without having to switch on a computer. 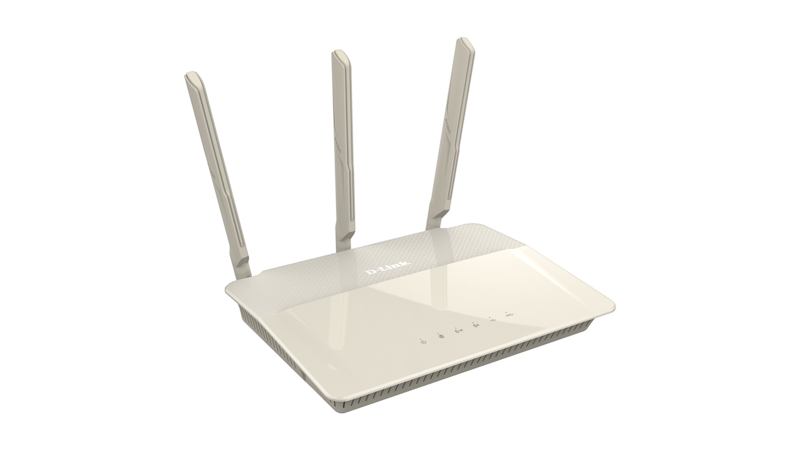 You can also set up a secure network with the touch of a button using Wi-Fi Protected Setup. Simply press the WPS button to instantly establish a secure connection to a new device. If you have additional mydlink cloud products, you can take advantage of mydlink Zero Configuration. Simply connect your mydlink-enabled device to the DIR-880L and the router will automatically link it to your mydlink account with no configuration required. 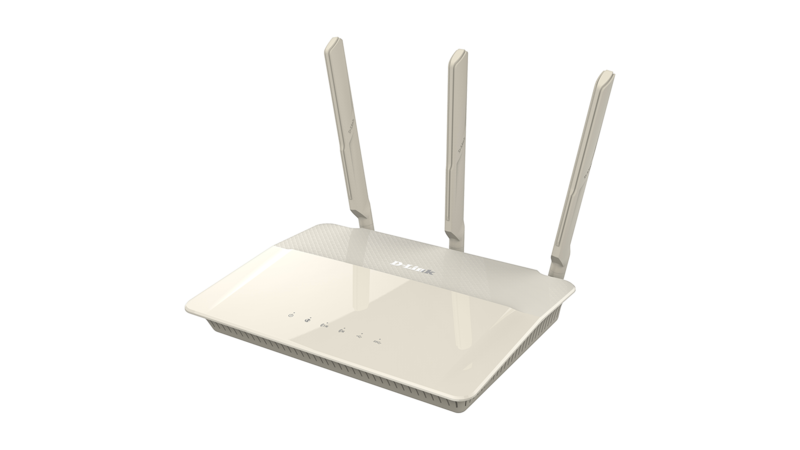 * Maximum wireless signal rate derived from IEEE standard 802.11ac (draft) specifications which are subject to change. Actual data throughput will vary. Network conditions and environmental factors, including volume of network traffic, building materials and construction, and network overhead, lower actual data throughput rate. Environmental factors may adversely affect wireless signal range.